When I was little, there was nothing I disliked more than brussels sprouts. My mom tried every trick in the book to get me to eat them to no avail and you know what? I still don’t like brussels sprouts! Some plants are like brussels sprouts to deer. They have their favorite foods just like we do, and the ten I’m going to tell you about are not typically on their menu. While most people report these perennials and shrubs are rarely damaged by deer, we all know that if a deer is hungry enough, they will eat virtually anything. This report on deer resistant plants from Michigan State University is a great reference to bookmark. You’ll find a complete listing of all the deer resistant plants we carry here. I’ve picked out ten popular ones for you today. 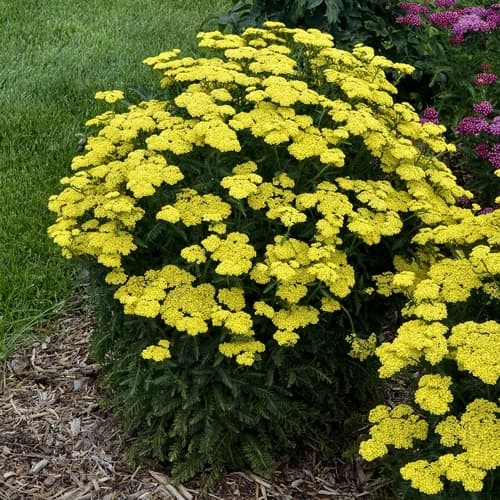 Yarrow flowers are a favorite perch and food source for butterflies and pollinating bees, but deer aren’t interested. Maybe they think its fernlike foliage just isn’t worth the effort—they’d have to eat a whole lot of yarrow to make a full meal. The more the merrier for us! Feel free to cut as many of their flowers as you like to use in fresh and dried bouquets. The more you trim, the more new flowers will form in their place. After a long winter, deer can be particularly ravenous in the springtime. One early blooming perennial they don’t touch is bleeding hearts. 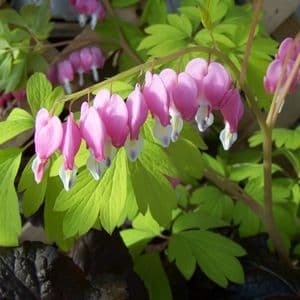 Grow these sweet heart-shaped flowers in your shade garden without having to worry about deer coming along and snapping them off overnight. That’s a good thing, since its blossoms are an early food source for bumblebees and hummingbirds. 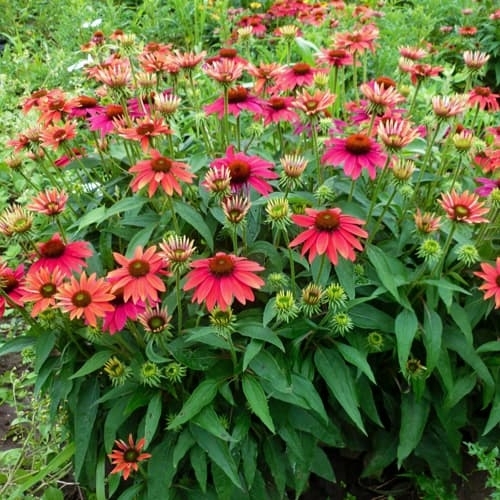 Coneflowers are some of the most popular perennials of all time but they do not impress deer one bit. Maybe it’s the flowers’ sweet fragrance or their spiky cone that turns them off. Whatever it is, I’m not complaining! Butterflies and bees share my high opinion of this amazing perennial. The intoxicating fragrance of lavender is one of my favorite scents in the garden, but how would you like to taste a mouthful of perfume? Deer don’t like that idea either so it’s not often that you’ll find them taking a bite of lavender. 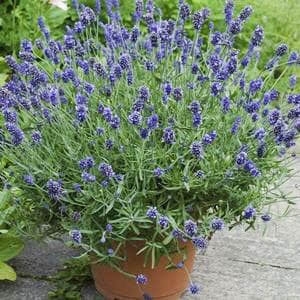 That leaves plenty for you to pick for fresh and dried bouquets, to make lavender wands or diffuse with essential oils. Used in small amounts, some people also enjoy a hint of lavender in lemonade, tea and baked goods. Ornamental salvias are related to the herb called sage. Rub a leaf between your fingers or snap a stem and you’ll immediately notice their pungent herblike scent. Deer leave most fragrant plants alone; bland flavors are more their style. Many types of pollinators absolutely love salvia flowers, no matter if they are on an annual type of salvia like Rockin’® Fuchsia or a perennial type like Color Spires® ‘Crystal Blue’. Plant a salvia and you’re sure to be treated to a hummingbird show! 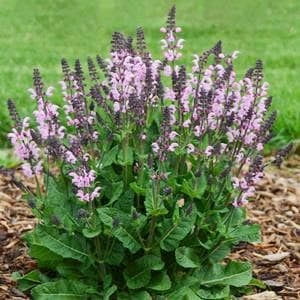 Perennial salvias are hardy in zones 3-8 and prefer full sun. Some annual types can handle part shade. Maybe it’s because they are so common in a deer’s environment or maybe it’s because the strappy leaves get stuck in their teeth, but this whole class of perennials is usually a safe bet when it comes to plants deer avoid. Miscanthus, Hakonechloa, Panicum, Pennisetum, Schizachyrium and Carex are reported to be especially deer resistant, though many other types grasses are rarely damaged by deer browsing, too. If you need to create a privacy screen in a sunny landscape where deer are regular visitors, ornamental grasses are an easy and effective choice. 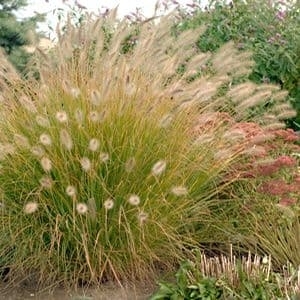 Check the height before you buy since ornamental grasses range from less than a foot to over eight feet tall. Hardiness and light requirements vary by type. 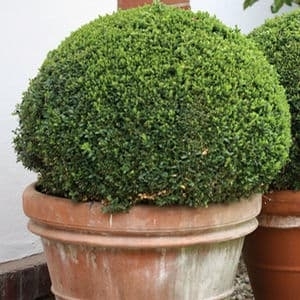 One of the most popular evergreen shrubs of our time is boxwood. It’s hard to drive through a neighborhood and not see at least a few boxwood hedges or foundation plantings. One of the reasons is because they are so versatile, growing well in both sun and shade. Newer cultivars like Sprinter® are relatively fast growers and rarely need trimming to keep their shape. Boxwood leaves are small and thick textured, so deer typically bypass them in favor of something easier to eat. Deer love to eat plants with succulent, water-filled leaves, stems or flowers to get the most nutrition out of each bite. 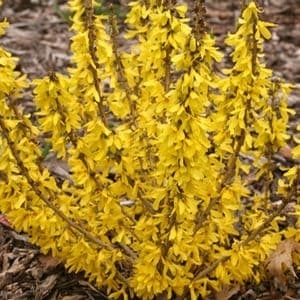 Forsythia offers none of those things. Their woody stems are thin yet strong, their leaves aren’t succulent, and a deer would have to eat an entire plant full of flowers to put a small dent in its appetite. Even if they sample a bite or two, they are likely to move on to something more worth their while. Good for us! Spring just wouldn’t be the same without forsythias in bloom. Hardy in zones 4-8, full sun except Flying Machine™ which can handle some shade. For many of the same reasons deer don’t eat lavender, they tend to avoid lilacs, too. Who wants a mouthful of flowers that taste like scented soap? I remember having my mouth washed out with soap once when I was younger so I can tell you for certain that it does not taste good. It’s even worse than brussels sprouts! 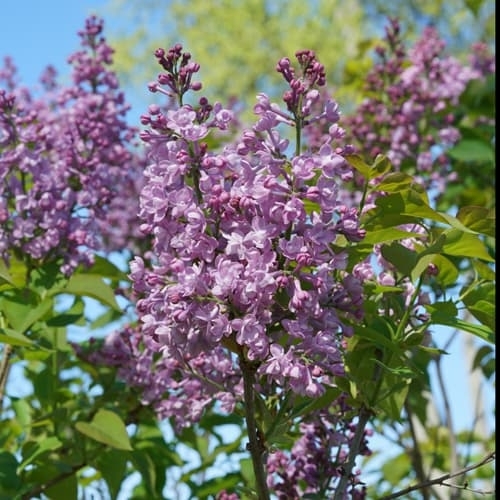 Lilacs thrive naturally with little help, so plant them in a very sunny spot, keep them watered until their roots are well-established, then let them thrive all on their own. They’ll reward you with bouquets of blooms every spring. Deer love plants with sweet, succulent fruits like blueberries. The hard, sour berries of winterberry hollies don’t taste nearly as good to deer, but birds will quickly snap them up once they’ve ripened. Just today in my own garden, I watched one of the first robins of spring make a meal of Little Goblin® Red winterberries that had fallen to the ground. 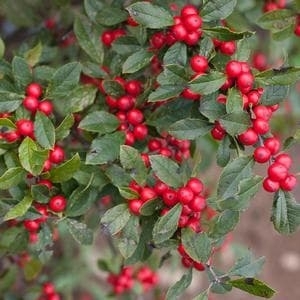 If hollies grow well for you, you might want to take a look at inkberry hollies which are also deer resistant.